We are a Not-for-profit 501 (c )3 cellular research company that develops organic celluar shakes & drinks for unmet health needs design at the tissue cells level. This journey began with a sports related injury and minimal options for permanent relief. After using the Cellular Shake for pain, TiMae Health was borne to share the experience with others. Our goal is to develop a world-class scientific base cellular research center based on science that will ultimately improve the quality-of-life naturally, efficiently, safely and affordably. 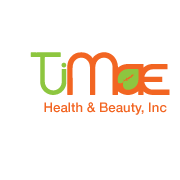 Facebook page to learn more about TiMae Health.